Blast fans can request personal messages to appear on the Blast Vision scoreboard, during every Blast home game! Wish that special someone a Happy Birthday or Anniversary in a unique way ... let them see their name in lights! The Baltimore Blast will display "Welcome, Birthday, Wedding or Anniversary" messages on the BlastVision scoreboard at Blast home games for $50. Fans must submit their request via email by noon on the Tuesday prior to the game they want their message to appear. Scoreboard messages cost $50 and are limited to four words. All requests must be received by noon on the Tuesday prior to the specified game. Messages are limited to four words. 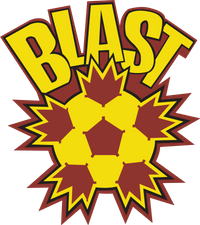 The Baltimore Blast has complete editorial control over all content of messages and reserves the right to refuse any request. Payment can be made with a check or credit card called or faxed in to the Blast. For more information on this new opportunity, please call 410-558-4295 or email mconway@baltimoreblast.com.